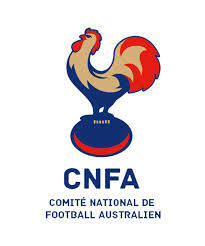 The new 2014/15 season of the CNFA competition in France is almost here with the season to kick off in fine style. The Perpignan Tigers have re-joined the Championship League and they open the season with their clash against the Cergy Pontoise Coyotes at their home ground on October 11th. The inclusion of Perpignan for the new season will see eight teams competing each round, cutting out the need for a bye, and showing the growth of the game in France as Perpignan have generated enough local interest to be a viable team again. The other clubs going around again this season ate the already mentioned Coyotes as well as reigning premiers the Toulouse Hawks, their grand final opponents Paris Cockerels, the Bordeaux Bombers, Strasbourg Kangaroos, Montpellier Fire Sharks and the Lyon based ALFA Lions. Other interested spectators this year will be the newly formed Nancy Bobcats, the currently dormant Aix-Marseilles Dockers and newer, though yet to be fully fledged entities in the Pau Bears and Toulon Footy. No doubt all of these clubs will be caught up in the excitement of a new season and as a result may be propelled closer to fully fledged status by season’s end. Time will tell. Past winners of the French championships have been part of a unique pattern. Just three teams have won the nation’s biggest prize, but each has won twice and each back to back. The Paris Cockerels won the title in 2009 and 2010. The Bordeaux Bombers then took over to win in 2011 and 2012, followed by the Toulouse Hawks (not straying from that tradition) won in 2013 and 2014. The new season sees an opportunity for one of those three teams to create their own history and win a third title in 2015. Likewise, the new season presents a challenge for the other clubs to grab history by the scruff of the neck and win a maiden premiership. Good luck to those clubs, including the return of Perpignan Tigers (not a new team, right?) to the Championnat de France! 8 teams is a good number, plus that there is no more byes meaning there's a healthy growth of players and hopefully we will see more teams joining the league! I am planning to make a trip to France (planning to stay in the Burgundy region) in the Summer 2016 for a week to see a Euro 2016 team, but I hope I will get to see a match and meet some players too! Goalkicking practice I would suggest for the Coyotes, but a good start to their season.